Experience Is the Difference Avoid costly mistakes while maximizing the value of your investment! After All, It’s Your Money! 928-505-4522 • 2935 Maricopa Ave. Connected appliances such as dishwashers will offer features such as voice control and network-enabled diagnostics. 50 $500 TO $749 Cannot be combined with other offers or applied to prior purchases. Expires 8.5.2014. Cannot be combined with other offers or applied to prior purchases. Expires 8.5.2014. YOUR PURCHASE OF It’s Your Sale! “COMPLETE HOME FURNISHINGS” Lake Havasu City’s largest selection of furniture for every room of your home. How many times have you been working off of a recipe on your phone in the kitchen, only to have it die mid-stir? Into 2019, we’re getting our long charger cords off of the counters — and away from the splashing sink water. We can now charge wirelessly through our countertops, which helps reduce clutter and inconvenience. ten notes. Large remodeling companies might even use construction management software that lets the client track things like scheduling, payments and deliveries. Any mode of communication can work, so long as everyone is clear on the protocol from the beginning. Bad communication is the downfall of any relationship, especially the one between homeowners and their contractor. Besides causing friction and frustration, the lack of communication can lead to lousy end results — a new kitchen you don’t really love, for example, or a seemingly simple home repair that winds up costing way more than expected. You wanted the bathroom walls blue but your general contractor paints them green. You can swear you agreed to three recessed canister lights in the hallway, not two. These types of miscommunications will be avoided with a written contract that clearly spells out the full scope of the project. It should include a breakdown of the labor and material costs, right down to the model numbers. Stay away from so-called allowances, basically blank spaces in the contract for items that are yet to be determined. When choosing a contractor, checking references and credentials is important, but you also need to take stock of the intangibles, including trust and rapport. Do you feel like you can speak freely with the contractor? How well do they listen? If they’re distracted or dismissive during the initial meeting, it’s only going to get worse once the project is underway. If there are other pros on the team, say a designer or architect, pay close attention to the group dynamic. There’s always a little push-pull between design and construction, but you want a team that can collaborate on these problems without the need for mediation. No matter how thorough you are in the planning phase, you still need to check in regularly once the work gets underway. The demo phase often turns up hidden surprises, from termites to structural damage, that you’ll want to discuss in person with your contractor. At the back end of the project, it’s a good idea to review finish details, like paint colors and tile patterns, before they’re applied once and for all. Let Us Show You the Way Home Put our local real estate expertise to work for your home search or sale! Messiness doesn’t really hurt anyone. Unless you count the kick to the shins your mom gave you last time she glimpsed your kitchen. Maybe it’s time to tidy things up. Neatnicks Ashley Murphy and Molly Graves, both from Chicago and founders of the organization business Neat Method, have dealt with everything from moldy leftovers to five years’ worth of unopened mail. Their cure? Make each room in a house part of a circuit that can be tackled at beginner, intermediate and advanced levels. We hit them up for their top bits of organized wisdom. Open the mail. Do this daily rather than watch a pile grow. Beginner, open mail. Intermediate, toss aside junk. Advanced, file or pay NOW! Make room for love. Romance can quickly go out the window when your honey doesn’t have designated storage space. “The person won’t feel welcome,” Graves says. Solution: Beginner, identify a dresser drawer, space in a closet, in the medicine cabinet to turn over to your true love. Intermediate, give your honey proper hangers or acrylic boxes in the closet. Rethink refrigerator real estate. No room for your leftovers? Beginner, find expired items. Intermediate, print labels with date stored and contents. Advanced, stick labels on see-through containers, so there’s no mystery to mystery meat. Extra credit: Periodically, remove what’s no longer good; replace — unless expired items are still full. “That means you never used it in the first place,” Graves says. $262,900* Backless seating helps complete a space without making it feel crowded or overwhelming. While some rooms are spacious and generous, others may be smaller and more challenging. Many apartment dwellers and homeowners have the overwhelming desire to make every space count. So what to do in the case of small rooms and spaces? Here are some key tips to keep in mind. 1. Create a floor plan. In many instances, the key to a successful space is proper planning. 2. Don’t overstuff. When looking to keep a space open, less is more. Be sure not to overstuff a space with too much furniture. 3. Considering making a space feel brighter through color. Often small spaces are dark, and in many cases simply adding bright colors such as orange and yellow or even pastels can help make a space brighter. 4. Consider white. Remember white is a color and can be used as an accent to help make a space feel bigger. 5. Use mirrors. Use mirrors alone, in a grouping or in a series to make small rooms instantly feel larger. 6. Purchase furniture of the proper size and scale. In smaller spaces, furniture that is smaller in scale will help create a more successful space. 7. Look for ways to incorporate transparent surfaces in one or two furniture pieces. Glass or transparent surfaces add a sense of weightlessness and work especially well in small rooms. 8. Experiment with shapes. Round tables allow for more circulation and movement than rectangular ones. 9. Consider a neutral color palette. From white and taupe to soft gray, lighter colors can help make small rooms feel soothing and appealing. 10. Determine function. Deciding a clear purpose for your small space will go a long way in selecting the appropriate furnishings. HOW FINE DETAILS CAN MAKE YOUR DECOR SHINE By Cathy Hobbs TRIBUNE NEWS SERVICE Just like the icing on a cake, when it comes to decor, a room can come to life with the help of fine details. From artwork to accessories, look for fine details to help make individual spaces stand out. • Add one or two accessories to a side or coffee table, such as a decorative vase or accent piece. • Group accessories as a pair or in a vignette. Three items grouped together can work well. • Mix accent pieces with books when styling a bookshelf. • Use metallics. Brass remains a hot finish in home decor, especially in accessories. Feel free to also mix brass with silver finishes such as nickel and chrome. • Use greenery. Greenery as well as florals, succulents and blooms can help add texture and color. • Clutter a tabletop or surface. In general following the rule of three works well. • Overlook books as decorative items. From coffee table books to small hardbacks placed on shelves, books can be an affordable and colorful decor addition. • Forget black and white are colors. Often neutral colors such as white, taupe and black can be used to help highlight bright colors or finishes. Upholstered furniture, like sofas and chairs, bring a lot of razzle-dazzle to our rooms, with their endless options to infuse our spaces with beautiful patterns and colors. But it’s their quieter siblings that provide the backbone to our interior spaces. Wood furniture may not always be as fun as upholstered pieces, but it plays a gigantic role in the design of our rooms. ers work with our customers to create spaces they love, we start with the upholstered pieces. Sofas and chairs create the color story for a room and set the style. Then, we turn to the wood furnishings. Why? Wood pieces play the supporting role in the room. You can’t pick an end table that’s the right size and shape if you don’t know the style and scale of the chair it will sit next to. Getting wood pieces to match the scale of your room and the other furniture is a fundamental of good design. piece by piece, detail by detail, over decades. A great way to get this look in a hurry is to use a wide array of wood finishes and styles. In my home, I don’t think twice about combining a mahogany side table, a natural pine chest, a painted book case and an oak dining table. These different styles and stains add to the story of the room. watch the trends in interior design, both with an eye to see what’s new and as a way to keep your home ever-fresh. But I’m not one who goes for remaking my interior spaces to match a new design trend. For example, the reclaimed wood trend has brought some beautiful looks to the design world and given us a chance to pull beautiful, organic pieces into our spaces. But a room that only features reclaimed wood can begin to feel flat, unimaginative. Instead, I like to add new pieces, as they grab my heart, but hold fast to the wood furniture I have loved for decades. 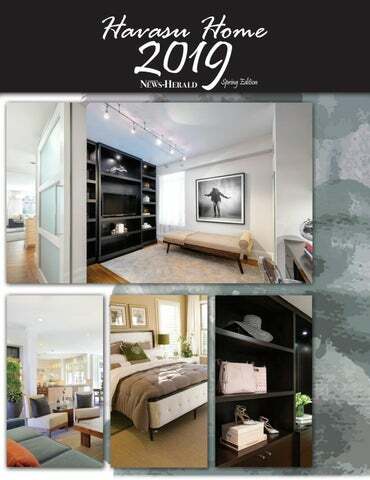 thumb through catalogs that depict well-put-together rooms filled with a store’s newest look. They are fun to look at and a good place to get ideas. But I would never encourage anyone to replicate the looks. That is someone else’s vision, not yours. As always, I urge you to only collect things you love, including wood furniture. Life is too short to live with a bookcase, table, end table or dining table that doesn’t make your heart race, right? www.parkersportscenter.com • Mon.-Sat. 8am-5pm, Sun. 8am-3pm. HOW TO ADD MORE NATURAL LIGHT TO YOUR LIVING SPACE HOMEADVISOR When natural light has the freedom to flow through your home, it not only gives new life to the neglected nooks, corners and crannies throughout your interior space — it provides an all new window into your home’s hidden potential. Adding a little daylight can go a long way toward brightening dark rooms, revitalizing your home’s interior and even recharging your mood. Painting a room? How to pick the right interior paint finish By MEGAN ALDERTON ANGIE’S LIST Applying a fresh coat of paint can do wonders to refresh your home’s interior. And choosing the right type and finish (or sheen) will go a long way in ensuring a beautiful and lasting result. withstand high levels of traffic, humidity and cleaning. Experts recommend using semi-gloss paint in kitchens and bathrooms — and also on baseboards, trim and molding, cabinets and other wood finishes. High-gloss: High-gloss paint offers a mirror-like reflective finish that makes it the most durable and easiest to clean of all the paint finishes. It’s typically too shiny for use on interior walls — and it will surely show every imperfection — but it’s great for trim and furniture. Experts recommend using high-gloss paint in kitchens and on door and window trim. of paint is as important as choosing the right finish. Latex- and oil-based paints are the most common interior paint varieties. Oil-based paint: Oil-based paint’s strong odor, long drying time and involved cleanup can make it more difficult to use than latex paint. But oil-based paints will provide a smoother and longer-lasting finish than most latex options, and they will also give you more thorough coverage in one coat. Experts recommend using oil-based paint in high-traffic areas and on wood, doors, molding and window frames. 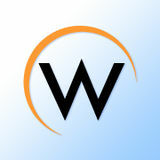 Latex (water-based) paint: Latex paint is easy to apply and easy to clean up. Plus, it’s made with environmentally friendly ingredients — most latex paints are made from pigment, water and an acrylic resin binder. Water-based paint is more forgiving than oil-based paint, but the makeup of latex paint makes it more susceptible to peeling — and it may not adhere to smooth surfaces like metal or certain plastics. It’s also worth noting that latex paints tend to swell wood grains, which can make sanding in between coats a necessity. WALK YOUR HOME: Where is your home’s natural light coming from? Which areas or rooms could use a bit more? A room-to-room assessment can provide you a better sense of your home’s natural light sources — windows, glass doors and skylights — as well as those spots that could use a sun-powered boost. As you walk your home, be sure to note any large plants or furniture preventing outside light from making the maximum impact. CHECK YOUR WINDOW TREATMENTS: Dark shades and heavy curtains create havoc for spaces in desperate need of daylight. Consider replacing these treatments with lighter, breezier colors and materials that better disperse natural light across dark rooms. A new window dressing may be what you need not only to capture more of the sun’s cleansing rays, but also to transform that boring bathroom, bedroom or kitchen into a brighter, more inviting indoor space. PULL OUT THE PAINTBRUSH: A new coat of paint can really perk up those spaces thirsting for a bit of sunlight. Painting dark walls with reflective, light-friendly colors gives daylight more room to roam. Lighter paint can also provide a powerful design element that contrasts any dark furniture, doors and trim that make your space unique. Neutral colors like white, tan and gray have broad design potential and tend to work best for improving a room’s natural light. GET GLASSY: Replacing solid wood entry and passageway doors with glass doors can be a great way to move more natural light through your home. For those areas that could really benefit from a bigger splash of sunlight – stairwells, entryways and hallways – a new glass door could be a godsend, transforming what was once a shadowy staircase or lackluster landing into a warm and welcoming home interior transition. Q: We just replaced our kitchen sink complete with a new faucet and I am a little disappointed. Somehow I overlooked picking out sink and disposer strainers and now the drain strainers installed don’t match my faucet finish. I know I can get used to it, but I want to be happy with my sink. Any suggestions? affect others. Consider all the ramifications. Example: You changed your double ovens to a free-standing range. Are you compensating for the loss of pot and pan storage at the cooking area? Don’t: Limit the dreaming process. Put together a wish list, prioritize goals, and consider different ways to achieve them. The most expensive line item of any project can be regret. You can cut back at the end before you proceed. Do: Make the work space separate without traffic circulating through it. Visitors to your kitchen should be comfortable and able to sit down, either at an island or breakfast table and be able to talk with you while you work in the kitchen. Don’t: Skimp on kitchen equipment. The price to upgrade to better appliances in the overall scheme of the cost of the kitchen is minimal. Get the appliances you want because you will use them every day. A: Unless otherwise told, a plumber normally installs the drain flange that comes with the disposer and a stock kitchen sink basket strainer assembly. I’m glad you addressed the issue. Many readers can learn from this if they want a custom kitchen sink. Replacing your present sink strainer and disposer flange should not be a big deal as long as parts are available and fit your present setup. But, get prices first. Many kitchen faucet companies carry matching disposer flanges and drain strainers, so contact them for material cost. Also, get a labor quote from your plumber, then weigh your options. Bottom line: If the upgraded kitchen sink will make you happy, then you’re not throwing your money down the drain. Courteous & Professional Service ALL WORK GUARANTEED Specializing in: Shutters • Interior Treatments • Motorization • Exterior Shades • Healthcare Privacy Curtains & Track and More! Rico, VP Celebrating 24 Years of Building! Call for Our Seasonal Rebates & Specials! that matches what you paid. If a proposal seems too good to be true, it probably is. Get multiple bids from different contractors, and go over each of them in detail to understand what you’re getting. And make sure you have EVERYTHING in writing. Occasionally you will encounter a contractor who will claim they can cut costs by skipping the permitting and inspection process. NOT KNOWING WHAT YOU’RE LOOKING FOR: When you begin the design and planning process, and the kitchen exists only as sketches on paper, making changes costs nothing. But once contractors get to work and start cutting into walls and installing pipes, changes become much more difficult. If you’re indecisive midway through the process, you might end up with a kitchen that makes you less happy than you thought. NEGLECTING THE INFRASTRUCTURE: Kitchen design includes more than the fun stuff, like new countertops and appliances. You need the pulse of your house to keep up with what you’re doing. It’s no fun to install shiny and powerful appliances and discover too late that you’ve exceeded the power load your kitchen can handle. Work with experts like plumbers and electricians to be sure that your kitchen can process the water, gas, and electricity needs for what you want. to places to cut corners. Oftentimes, they eye the high-end appliances and fixtures they selected at the beginning of the process and wonder if they can bring down the cost by downgrading a few of them to the mid-grade models, or by using a cheaper material. You can be forgiven for this impulse. Those rising costs drain the pocketbook and increase the stress levels, and you need to take them seriously. On the other hand, skimping out on the fixtures hurts your kitchen’s long-term prospects. A $99 faucet gets you $99 of usable life. HOMEADVISOR If you’re planning a bathroom remodel of your own, here’s a trio of trends to consider. HELP NEEDED FOR BUSY BATHROOM Q: We have a family game room in our basement, complete with a half-bath. Between friends and family, this large room is the busiest area in our home and has a lot of bathroom traffic. Let’s just say our present toilet is not up to doing the job. Any ideas on the new type of toilet I should install in my busy bathroom? A: For busy bathrooms, there are usually three toilet issues to address. First, you want a toilet made for extraheavy use. Look for options like three-bolt tank-to-bowl connections and metal flushing handle assemblies. Second, you want maintenance features like full-bowl rinsing and a molded-in sanitary guard to help deflect liquids from getting between the tank and bowl. Finally, the flushing system should incorporate water-saving technology and still be powerful enough to flush bulk waste. To find these features, you can check out a hospitality commercial toilet. These toilets are used in many small office and event areas. Most have the same connections found in a residential bathroom. FREESTANDING BATHS COMBINE ART WITH PLUMBING A freestanding bath is basically a self-supporting bath tub with finished sides inside and out. This means there is no need to build an enclosure around the tub or install the tub against a wall. Freestanding baths give you the freedom of placing the fixture in the middle of your bathroom, making it the focal point. With that in mind, many freestanding baths look more like a sculpture and less like a plumbing fixture. Solid cast resin materials are often used to create freestanding baths. Options can include bubble massage and heated surfaces. With all these high-end features, y ou can see why a freestanding bath can soak up a large portion of your bathroom budget. FAUX FLOORING Wood flooring is popular throughout the home, but it’s not ideal for wet locations, including the bathroom. That’s what makes new woodlook porcelain-tile planks so alluring. They’re the spitting image of real wood, whether cherry, ash, oak, or redwood, and they’re totally water-resistant, so you don’t have to towel off before stepping out of the shower. The textured grain of the material also means added slip-resistance, minimizing the risk of slips and falls. Looking for a low-maintenance vanity countertop to go with your porcelain floors? Consider quartz, which was tapped by 91 percent of kitchen designers in the latest trends report by the National Kitchen & Bath Association. Granite and marble followed, at 61 percent and 45 percent, respectively. HIGH-TECH FIXTURES The bathroom has been the last frontier for smart home technology, but that’s starting to change. More homeowners are used to controlling cameras and doorbells and appliances on their phones. The expectation is they can now do the same with the shower, turning the water on and setting the temperature from an app on their phone, or even through the voice-controlled smart speaker on the bedside table. Smart toilets, with their built-in bidets, embedded speakers, and other high-tech conveniences, are another hot bathroom trend, especially with older Americans, who are embracing the technology as an aging-in-place upgrade. If you’re remodeling, remember to put a GFCI outlet near the toilet location to power your smart toilet. WATER EFFICIENCY With water costs on the rise, this trend is as good for your household budget as it is for the planet. Better still, you don’t have to sacrifice performance when choosing water-efficient bathroom fixtures. For example, toilets that meet the strictest 1.28 gallons per flush deliver superb flushing power. Likewise, you can get an invigorating spray from a showerhead that uses a miserly 2.0 gallons of water per minute. TIPS ON WATER SAVING SHOWERHEADS Standard flow showerheads currently use 2.5 gallons per minute or gpm. So, a water-saving showerhead needs to be using less than that. To offset using less water many high-efficiency showerheads have been redesigned to deliver better spray performance along with added features. Such as: Wide, targeted and drenching spray settings, easy-to-clean spray face and modern styling. Bottom line: With today’s water-saving showerheads you can also splurge on some nice comfort features! When should I DIY toilet fixes? HOMEADVISOR You depend on your toilet to work day in, day out. But when things go wrong with the toilet, they can go very wrong indeed. Fortunately, when you run into toilet trouble, you can frequently solve the problem yourself. Consider these tips for common toilet problems. However, keep a realistic assessment of your own skills. If you get in over your head in trouble, don’t hesitate to call in a professional. When you don’t know what you’re doing, you can easily make things worse. HOW TO HANDLE TOILET CLOGS: Many toilet problems go back to clogs: something stuck in the pipes that just won’t budge. The first solution is that most iconic of plumber’s tools, the plunger. When plunging a clog, make sure to position your plunger to create a tight seal around the opening. Position it in the drain opening and push down, forcing the air out of the plunger. Then continue with several rapid up and down movements. You may have to try this several times. Lift the plunger out of the water to let more air into it between each effort. Are your other drains working normally? If not, the clog is apparently in the main drain and no amount of plunging will dislodge it. If the toilet is the only fixture affected and plunging doesn’t work, you could try dissolving the clog — but don’t use harsh chemical products. Put one cup of baking soda and one cup of vinegar in the toilet and let it sit for about eight hours. The chemical reaction that occurs between the two substances might help break down whatever is clogging the drain. To prevent future clogs: Don’t flush any materials other than toilet paper. Feminine products should go in the trashcan, not the toilet. Many plumbers even recommend against putting “flushable wipes” down the drain because they don’t degrade well and can cause clogs down the line. Keep the counter space around the toilet and the back of the tank clear of small objects that might fall in without being noticed. On occasion, you may hear your toilet flush itself. Though this can be disconcerting to hear in the middle of the night, it’s no ghost and no home intruder. Instead, the phantom flush indicates that water is leaking from your tank into the toilet bowl. Thanks to the physical laws that make toilets work, when enough water fills the bowl, it flushes automatically. In most cases, a worn-out flapper in the tank causes this leak. Test for a leak by putting a few drops of food coloring in the tank and waiting to see if it becomes visible in the bowl without flushing. You can hire a plumber to replace the flapper, or if you feel handy enough, you can purchase the parts at a hardware store and try it yourself. HOW TO CHOOSE THE RIGHT BATH FILLER Q. We plan an extensive bathroom remodel and want to install a freestanding bathtub. As I understand we can have a deckmount or a floor-mount bath filler. Can you give us some tips/ info on both styles to help make our choice easier? A: Freestanding baths are unique because the tub is not built into an island unit. It’s basically a self-supporting bath with finished sides. First tip: Check your tub specs to see what the manufacturer recommends for a filler fixture. Some may require a specific type of bath filler; others may allow you to choose a deckmount or a floor-mount style. Deck-mount fillers install on the flat rim area of the tub and may require drilling. Once installed, piping is concealed in the hollow section of the tub for a clean trendy look. Floor-mount fillers are tall, classic-looking fillers anchored to the floor with exposed finished piping. Bottom line: To fulfill your freestanding bath dreams, it simply gets down to choosing either a modern-looking or vintage-looking bath filler. OF A GOOD NIGHT’S SLEEP? Finding the right mattress can make a world of difference. We carry a wide variety of mattresses from Spinal Care. If you find a lower price on a comparable mattress, we’ll beat it. We stand behind every mattress we sell with a 10 year warranty. we offer free local delivery. Queen set Open Monday-Saturday, 10 a.m.- 6 p.m. Sunday, 11 a.m.- 4p.m. Bedroom What to consider before starting a bedroom remodel Remodeling your bedroom is a great way to revive an outdated space and add value to your home. But like any major home improvement, it’s important to go in prepared — and to plan your budget and design before you get started. Good planning is key not only to saving money, but also to making sure your vision is realized once your project is complete. Consider the following as you plan out your project. CLASSIC STYLES WORK BEST FOR RESALE: A trendy or personalized design may work well if you’re remodeling for yourself. But if you’re fixing up a bedroom for future resale, a timeless, more traditional style is most likely your best choice. Features like walk-in closets, recessed lighting and an updated bathroom can be good ways to draw in potential homebuyers — while a new bedroom skylight could be the finishing touch you need to close the sale. expensive, but it’s also easy to clean and comes with a longer lifespan. Whichever you go with, be sure to do your research and know your flooring options before making your final decision. CONSIDER COSMETIC UPGRADES: Lowbudget updates can make a big difference when it comes to changing your bedroom’s appearance. A new coat of light paint can give your room a larger, airier look — while a brighter color combined with different textures can add depth and personality to its overall design. And small things like rearranging the furniture and cleaning up clutter can create the feel of a major upgrade without the project price tag. Garage Storage is key to a better looking garage HOMEADVISOR For most homeowners, the garage is the black hole of their home’s universe. Unwanted items from all other areas of the house are pulled in, stacked and forgotten — until one day you open the door, look in and realize you can’t see from one side to the other. If this sounds familiar, a storage system could transform your dark abyss into an attractive, orderly space that you might even enjoy spending time in. GARAGE STORAGE SHOULD BE A MULTI-PRONGED ATTACK: The art of storing things in your garage is first and foremost an organizational issue. The reason most garages look so bad is that there simply isn’t anywhere to put anything short of stacking it against the wall. By taking advantage of all available space and introducing a number of efficient storage solutions, you can transform your garage overnight. Cabinet-based garage storage systems are the most popular place to start. Cabinets serve several purposes. For starters, they have shelves — and shelves provide a home for your tools, paints, camping equipment and other belongings. Since everything has a place, it will be easier to keep the garage clean so long as you take the time to put things back where you found them. work wonders when it comes to organizing your black hole. Hanging baskets, also referred to as loft storage, can be installed from one end of your garage ceiling to the other — providing tons of new storage space for coolers, luggage and outdoor gear. There are even overhead garage storage systems built specifically to make use of that dead space between your garage door and the ceiling. innovative product is a pulley system for larger items such as bicycles, canoes, and even truck toppers and larger boats. Overhead hooks have long been a favorite of professional garage organizers. WHAT’S WRONG WITH MY GARAGE DOOR OPENER? Q: After leaving the house, I noticed the garage door did not close. I tried several times, but the door only moved slightly but would not close. I had to go into the garage and release the door opener and then lock the door. Do I need a new opener? ant to consider factors such as pressure, flow and compatibility with different types of cleaning fluids. Cost: Purchasing an electric washer can run you anywhere from $90 to $200, while gas-powered washers generally cost between $300-$800. On the other hand, hiring a professional typically costs between $180 and $380. Given the cost to purchase a pressure washer — coupled with the amount of time it takes to complete the job and the dangers it entails — many homeowners find it’s worth the cost to hire a professional. Not only will a pro have the equipment and expertise necessary to clean the surface safely and effectively, but their services are typically affordable. DO’S AND DON’TS • Do now which cleaning solutions are recommended for each surface you’re spraying. • Do wear protective gloves, eyewear, clothing and shoes at all times. • Do follow all safety protocols when working with washers, ladders and other equipment. • Do consult a pro to avoid mishaps and make sure the job is done right the first time. • Don’t operate your pressure washer near people or pets at any time. • Don’t stand too close when spraying any surface, as debris and damage can result. • Don’t use pressure washers without first consulting instructions and safety warnings. A: An automatic garage door opener has two devices to protect you and your automobile from harm should the door accidentally close when you are under it. Your problem may be that the photocells are out of adjustment keeping the door from closing. There are two photocells located near the bottom of the door’s track; one on either side of the door. If the beam from the photocell is blocked, the door will not close. Similarly, if one of the photocells has been moved, the light beam will be off and the door will not close. There should be a colored light on the surface of each beam to let you know the beam is properly adjusted. If one of the adjustment lights is off or is blinking, you can adjust the cell by moving it with your hand until the light is on and steady and stops blinking. This is an easy DIY, but you may have to call a garage door company if the adjustment does not solve your problem. Another problem could be the door closer motor sensor. There are two adjustments on the door opener motor. One is an adjustment for the opening force of the door, and the other if for the closing force of the door. Find the closing force adjustment and turn the screw a quarter turn at a time until the door closes and stays closed. This may take some time to adjust accurately. Once the door stays closed, open the door and then lower it again trying to stop the door from closing by grasping the bottom rail with your hand. If the door does not automatically stop and open up, you need to adjust the closing force until you can stop the door. Sounds easy, but sometimes it takes several attempts to get the adjustment just right. Closets Make your closets so dreamy you’ll never want to shut the door THE DALLAS MORNING NEWS In real estate, they say that kitchens and bathrooms sell houses. But, a killer closet certainly doesn’t hurt. Who doesn’t want a closet that’s as gorgeous as the pieces hanging inside it? ALL IN THE DETAILS A dream closet needs more than hanging racks and drawers. For seriously stylish storage, incorporate unique materials. Shagreen boxes are as pretty as they are practical. Artwork and accessories take a large closet to the next level. Make the art pieces persona. Consider favorite phrases or oversize images of favorite fashion pieces. People don’t think about seating in a closet, but it’s a must-have as it provides function and can even provide additional storage. It can also be a place to perch while you slip on shoes or decide on that day’s look. Organize not only by grouping like things together — shirts together, pants together — but also by color (ROYGBIV style, like an elementary school crayon box). Installing hooks or a valet rod will offer a spot to gather together tomorrow’s outfit and cut down on morning stress. Lighting is key for closets. Incorporate a fixture that emits lots of light or splurge and add recessed can lights on a dimmer switch. 7 TIPS TO CREATE A GREAT CLOSET 1. Use boxes and bins. Boxes and bins are perfect organizational tools when it comes to small items. 2. Huggable hangers. Use slim hangers as opposed to those that are bulky in order to maximize space. 3. Consider having your closet professionally “built.” These days there are many companies that can create custom drawers and shelves to help maximize a closet without breaking the bank. 4. Place shoes on racks or keep them in boxes. Shoes can take up a lot of space. While many people prefer to keep shoes stacked and in boxes, depending on the number of shoes you are looking to store, racks may be useful. 5. Consider utilizing a “seasonal” closet. Instead of having your closet filled with all of the clothing you own, why not store off season items elsewhere, leaving your closet reserved for those items that are in season and in use. 6. Utilize both short and long hang bars. One key closet organization tip is to have an area to hang items that are short in length such as shirts and jackets as well as those that are longer in length such as coats, pants and dresses. 7. Hang winter coats in a single closet in the home. Winter coats, can be bulky and take up space. One suggestion is to pick a single, underutilized closet within the home, and use it for these items. With more than 25 years of trusted experience, we’re here to help you find the best loan option and rate. Call to speak with an advisor, or check out our online mortgage calculator to get a quote in seconds. make the weave brittle, while too much moisture can cause mold growth. Some furniture is water-resistant. If yours is not, coat the pieces with a sealant if you plan to leave them outdoors for a prolonged period of time. WOODEN FURNITURE Outdoor wooden furniture such as teak is relatively expensive and needs extra care to keep it in good condition. Spray with a wood cleaner and scrub the surface with a soft brush once every two weeks. Moisture is to wood what rust is to iron so make sure you always keep your wooden furniture dry. Dampness will cause the wood to develop mildew. WOOD WEATHER CARE: Weathering is common in wooden furniture, and it happens when the furniture is exposed to sunlight and rain. Apply wood oil and let it sit for several hours before you gently wipe the surface with a clean rag. INSTALLING A FIRE PIT The ideal fire pit is between 3 and 4 feet wide and about 18 inches tall. If it’s taller, you won’t feel its warmth; if it’s shorter, it will present a safety hazard. If the wind tends to blow in a particular direction, consider how you can position your fire feature to avoid sending smoke in the direction of your neighbors. A pit should be lined with a noncombustible stone. Fire brick and fire clay mortar are designed to handle high temperatures. You don’t want to build your fixture purely out of concrete, as direct exposure to fire can damage concrete over time. When it comes to fire features, there’s a style and material to fit every space and budget. You can purchase a ready-made, gas-powered fire pit; build a traditional stone circle; or install an outdoor fireplace complete with elaborate masonry. And a clever installer can build a fire pillar, a fire table or an installation fixed directly into your deck — even a fire pit surrounded by water features. Instead of relying on folding chairs, you can install a sitting wall around the pit for permanent seating. Fire pits present a variety of design options. The base lining materials are more than a physical foundation; they establish the aesthetic. Noncombustible pebbles come in a wide array of colors. Glass crystals present a sophisticated look, and colored rocks offer an earthy feel. Is there a cause close to your heart? Let us help you FUND it! Whether you have one window to replace or several, start by talking to the professionals at River Valley Window Company. We can work with you to determine the best products and options for your homeâ&#x20AC;&#x2122;s architecture and orientation on your property, as well as for your climate and lifestyle. Milgard and River Valley Window Company has a great selection of products in many diďŹ&#x20AC;erent styles to brighten any home. "STRENGTH THROUGH ASSOCIATION!" The mission of Colorado River Building Industry Association is to provide our members benefits, political action, information and education to improve our business, our community and educate ourselves. CONCRETE-SAND-ROCK-GRAVEL SUPPLIES Campbell Redi-Mix 855-6535 Desert Construction Inc. (928) 757-2213 Hub Construction Supplies 453-9109 CONCRETE SUPPLIES Hub Construction Supplies 453-9109 CONCRETE WALLS & STRUCTURES Masonry & More LLC 486-3965 CONSTRUCTION CLEAN-UP & HAULING Done Right Cleaning Resources Inc. 855-8244 CONSTRUCTION LOANS Guaranteed Rate Affinity (928) 325-6099 CONSTRUCTION MANAGEMENT Chicago Title 855-4196 EVO Energy Solutions 486-0301 Homes by Wiesner Inc. 680-1894 Kittrell Jensen Contractors (702) 638-8547 RDS Quality Construction LLC 486-4660 Roman Const./Campbell Electric 453-7520 Sabre Building Corp 505-4522 CONSULTING G. Oxley Construction Selberg Associates Inc.
GARAGE ENHANCEMENTS Accurate Measures 505-2393 Arizona Decorative Concrete 854-2700 Burns Builders & Real Estate 855-8222 Just Garage Doors 855-6331 Trophy Homes, LLC 855-7526 GARAGE/OVERHEAD DOOR Just Garage Doors 855-6331 GATES Armor Fence & Masonry Mansell Welding Inc.
GUNITE POOLS & SPAS Mohave County Pools & Spas 680-7665 HANDRAILS Mansell Welding Inc.
IRON WORK Armor Fence & Masonry Mansell Welding Inc.
LUMBER MATERIALS, Comm’l Home Depot 764-5111 Pro-Build Home Centers 855-4061 MARKETING SERVICES Print it Havasu 505-0451 Today's News Herald 453-4237 MASONRY Armor Fence & Masonry Black Opal Construction (928) Canyon State Enterprises, LLC (928) Concepts in Construction LLC Haxton Masonry (928) Kitchen & Bath Concepts LHC Construction Inc. Masonry & More LLC Moran AZ Homes (760) Palmieri Construction Inc. Better Plumbing by Farr Inc. Craig Plumbing Contractors Inc. J’Duva Service Plumbing Inc.
RADIO 855-9336 RAILING Mansell Welding Inc.
SKYLIGHTS River Valley Window Co.
SKYLIGHTS, Repair & Replacement Dynamite Roofing LLC 453-3925 SMART HOME TECHNOLOGY Bullet Proof System (928) 846-1032 Havasu Audio Video LLC 855-3111 Havasu Wiring 566-8111 SOLAR ENERGY CONTRACTORS Esmay Electric Inc. 855-7375 Homes by Wiesner Inc. 680-1894 Mohave Solar 680-0040 RLB Electric Inc. 706-6557 SOLAR ENERGY SYSTEMS DESIGN & INSTALLATION Esmay Electric Inc. 855-7375 Homes by Wiesner Inc. 680-1894 Mohave Solar 680-0040 RLB Electric Inc. 706-6557 SOLAR WATER HEATING Craig Plumbing Contractors Inc. 453-7189 Mohave Solar 680-0040 Pitzer Air 855-0190 RLB Electric Inc. 706-6557 STAIRWAYS Foster Framing Mansell Welding Inc.
George Pest Control Havasu Pest Control Inc. Parker & Desert Pest, LLC WELDING Mansell Welding Inc.
WILLS, TRUSTS & PROBATES Springberg & McAndrew Financial 855-9421 Wachtel Biehn & Malm 855-5115 WINDOW COVERINGS Blind Alley 855-7406 Blind Design 855-0330 Budget Blinds 854-7979 Home Depot 764-5111 Lake View Window Coatings (855) 235-0344 Oasis Floors & Design Center Inc. 680-0550 WINDOWS Advantage Windshield & Glass Jim's House of Glass (928) River Valley Window Co. Rudy Glass Inc.